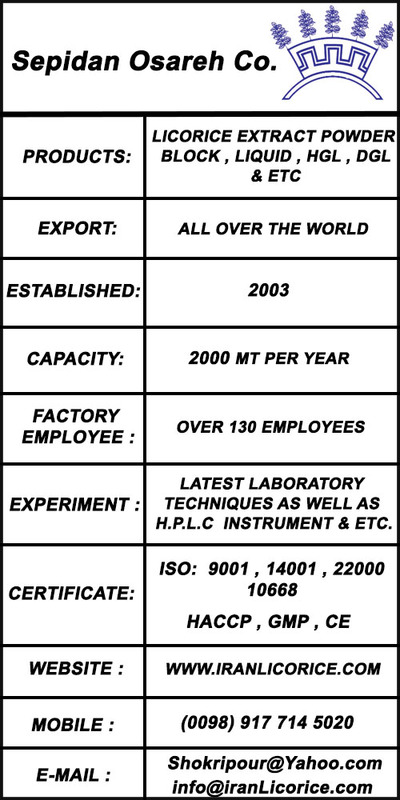 We Produce Licorice Extract Products and we Export to all over the world. Experience , Skills, Best Machinery Systems , 24hrs 7 Days Without stopping. Online Control . Every Day Analysis. Address: Kilometer 60 Shiraz Sepidan Road, Homashahr, Fars, Iran.